Your guide to fresh, local produce grown responsibly. Know your farmer… Know your Food! Eating is one of the most profound human experiences; it is vital to our existence and a common thread defining us culturally. That which sustains us ultimately holds our entire existence together: waking hours are determined by our next meals; we gather to eat; sharing a meal is the most universal form of socialization. Additionally, our moods can be altered by positive or negative experiences with our food as our taste buds carry information to our brains via the cranial nerves. This is an amazing function of the human body and is capable of evoking memories based on taste alone. We are wired with the great capability to enjoy what we eat. So why not enjoy food grown locally and responsibly? The community has a strong advantage in the Saint Louis Metropolitan area with access to a wide array of local Community Supported Agriculture (CSA) Farms and a plethora of local business that support local farmers. Supporting local food systems reduces our carbon footprint, circulates funds back into the local economy and promotes an understanding of the dichotomy of food: where it comes from and how it is grown. The Local Foods movement has made a significant comeback in the last few years. Conscious eating seems to be the modern day trend. The local foods movement began over one million years ago with the first hunters and gatherers eating only what they could find in 100-mile radius. This movement peaked during the victory garden days in the early 1900’s when canning and preserving fruits and vegetables was a benchmark enterprise. It took a long hiatus during the industrial revolution and stayed in the background with the growth of grocery store chains in the 1950’s. Today, the local foods movement is back and here to stay! Homesteading is hip again and we are, in essence, getting back to our roots. The rise of homesteading is paramount for our growth as a healthy, sustainable community. Join a CSA and see for yourself the value of eating locally grown fresh produce all season long! In joining a Community Supported Agriculture Farm, one buys a subscription to the farm. CSA Farms are all structured slightly different. However the general concept is similar. Members support the farmer’s endeavors financially throughout the season and in return they receive seasonal fresh local produce for a specified number of weeks, sharing the risks and the benefits with the farmer. Since 2007: Fresh, locally-grown, freshly picked, delivered to you. As a member of our CSA (Community Supported Agriculture) you receive fresh, locally raised vegetables delivered to your neighborhood once per week for 20 weeks of the growing season. Delivery will be a box of the assorted vegetables in season for that week. The Lee Family invites you to be a part of the farm. Here is some of what will be offered: Tomatoes, cucumbers, lettuce, peppers, green beans, broccoli, watermelon, sweet corn, squash, potatoes, onions, carrots. For more information please contact Lee Farms CSA at 314-954-0551 or email rusty@leefarms.net. Since 2008. April through February. See website for a complete list of services. Members will be assigned either a Wednesday or Thursday pick up at our main site in midtown St. Louis city. Pickup between 3:30 and 7:00p.m. Kirkwood (Thursdays) Members pickup on Thursdays between 4:15 and 5:45p.m. U City (Wednesdays) Members pick up between 4:30 and 6:00. Website: www.fairshares.org. Price breakdown: $50 membership fee due with first payment. This is a one-time, non-transferable fee. FULL SHARES = 46 weeks, April 3 – March 6. Two payments: $1219 each ($53 per weekly share, times 23 weeks) due the first of the month: March, or upon joining and September. Other payment options are available. See website for details. HALF SHARES = 23 Alternating weeks. One-time payment: $1242 ($54 per weekly share, x 23 weeks), due upon joining/renewing. Other payment options are available. See website for details. Important upcoming events at their farm: Spring Member/Farmer Potluck Picnic in May. Contact info & how to sign up: http://fairshares.org/members. Since 2009. Late May- early November. Price breakdown: Whole Share, $940.00 Delivered. Whole Share, $750.00 Farm Pick-up. Half Share, $625.00 Delivered. Half Share, $425.00 Farm Pick-up.There is a membership form on www.sharedbounty.com. If you wish to join, print out the form, and send in that form with your payment. Since 2008. June to October. A variety of vegetables and herbs grown without pesticides including green beans, potatoes, broccoli, sweet corn, kale, radishes, and much more. They do home deliveries with a cooler with 6 to 8 vegetable varieties. Each vegetable variety is based on a serving of 4. Example share: 1 lb. of green beans, 1 head of cabbage, 1 1/2 lb. of potatoes, 1 head of broccoli, 6 ears of sweet corn, 1 bunch of Kale, 1 bunch of Radishes. Included in their shares are 1 dozen farm fresh vegetarian fed cage-free eggs, fresh Herbs, and locally sourced fruit.Website riverhillspoultry.com. Full Shares $55.00 per week delivered every week to your home for 22 weeks. Half Shares $55.00 per week delivered every other week for 11 weeks. Also available: 4 week winter CSA (it consists of storage vegetables, fresh greens, root crops, fresh herbs, fruit and eggs. Payment plans are available. Important upcoming events at their farm: Yearly Family Farm Day, with a BBQ/pot luck, where members can spend the day at the farm and see how their vegetables are grown. Contact info & how to sign up. Dry Dock Farm, #29 Silex Elevator Rd, Silex, MO 63377. 573-384-5859 email: drydocfarm@windstream.net. www.riverhillspoultry.com. There is an email/newsletter that is sent out each week. It has farm news, pictures, recipes, vegetable storage info, and herb tips. Since 2013. Time frame in which produce is provided to members: May 4th through November 2nd. A variety of seasonal vegetables. Farm provides an average of 8-10 lbs of produce throughout 26 weeks. Monday pick-ups are at the farm in Affton, from 6pm to 7pm. Saturday pick-ups at their booth at the Tower Grove Farmers Market from 8am to 12pm. They also have a delivery option for certain areas. www.liberty-farm.net. Full share $500-$540 (depending on type of payment). Half share option is either an average of 4-5 lbs. of food for 26 weeks, or 8-10 lbs. of food every other week (13 weeks) at a cost of $255-$290 (depending on payment methods). Important upcoming events at their farm: permaculture class, canning class and lunch at the farm. Sign up on www.liberty-farm.net to receive emails about upcoming classes and events. Contact info & how to sign up: If you are interested in signing up, you can visit www.liberty-farm.net or call 314-717-1155. Since 2010. Begins May 4th for 26 weeks. Poultry, eggs and produce. 2 Pickup Locations – Farm Pickup and Tower Grove Pickup. Delivery available. Website: www.ourcityfarm.com. Customizable boxes so pricing varies. Important upcoming events at their farm: Several Scheduled work days: 3/2, 3/16, 3/30, 4/13, 4/27 9:00am – 12:00pm . April 28th CSA Welcome party at the farm. Contact info & how to sign up: Signup online at www.ourcityfarm.com/members; contact info@ourcityfarm.com or 314-282-5290 for more information. twitter/ourcityfarm. facebook.com/pages/ourcityfarm. Since 2007. Mid-May through early November. CSA boxes can be picked up at the Schlafly and Tower Grove farmer’s markets; also at a University City and Edwardsville site. They also have pick up at the farm on Tuesdays and Fridays from 2-7PM. They have two share sizes: a full share which is 26 weeks from mid-May through early November for $550 and an every-other-week share for $275. They grow every vegetable imaginable, except sweet corn, but their specialties are family-friendly vegetables like potatoes, broccoli, carrots, beans, tomatoes, cucumbers, squash, watermelons, spinach and lettuce. They only have a few St. Louis memberships left, so please visit their website to join: www.threeriverscommunityfarm.com. Since 2013. 30 weeks from May through November. CSA subscriptions will include a variety of products including; canned goods, locally made soaps, a full spectrum of produce, eggs, a variety of soft fruits and berries, and four choices of meats; chicken, pork, beef, and turkey. Pick up on Tuesdays 10 am- 7 pm. $1450 (meat included) plus sale tax or $850 (meat not included) plus sales tax. There is an additional non-refundable $35 administration fee. Payment options are available. Important upcoming events at their farm: Meet the Farmer Day in March (see website for details). Contact info & how to sign up: You can sign up at the store or on their website greenescountrystore.com. Or email for information at greenescountrystore@gmail.com or call (636) 561-6637. They provide an aggregated weekly food subscription. Customers can choose vegetarian, omnivore or even a “paleo” option. CSA members also get 10% off of other purchases when they check out at their grocery stores. In low produce months, they provide North American Organic Produce as a supplement. Three pick-up days/times are available. Pick up your Weekly Harvest at the Kirkwood Store or Tower Grove Fridays 2-8:00 p.m. Sundays 2-8:00 p.m. Mondays 2-8:00 p.m. $50 a week + tax. Email: weeklyharvest314@gmail.com (Kirkwood) weeklyharvest8@gmail.com (Tower Grove). Or call Kirkwood 314-966-6566, Tower Grove 314-865-5260. localharvestgrocery.com. 16 weekly deliveries. $25/week feeds a family of 2 or supplemental for a family of 4. 30 Weeks. Scott & Tricia Wagner, 1905 Bickmeyer Rd., Hermann, MO 65041 eamail: Scott@yellowwoodfarms.com or sign-up online at www.yellowwoodfarms.com. Since 2002. Mid May through mid November. La Vista also offers a Spring Greens Share from mid April-mid May. A variety of vegetables that can be grown in the region including broccoli, cabbage, Napa cabbage, Bok choi, specialty Asian greens mix, fresh herbs, medicinal herbs, carrots, eggplant, golden zucchini, heirloom tomatoes, sun gold cherry tomatoes, kale, chard, peppers, eggplant, scallions, potatoes, garlic, sweet potatoes, Winter squash, and much more. Visit their website for a complete list. Shareholders also enjoy access to the pick your own field, in which they can bring the whole family out for a day of picking delicious sugar snap peas, fresh herbs, strawberries, green beans, three varieties of cherry tomatoes, stunning flower bouquets, and medicinal herbs. Farm pick up on Tuesdays and Fridays from 2pm-7pm. They deliver to St. Louis every Saturday morning from 7am-9am at Garden Heights Nursery on 1605 South Big Bend Blvd. www.lavistacsa.org or find us on facebook at www.facebook.com/pages/Community-Supported-Garden-at-La-Vista-Godfrey-IL. Full Share $550 Alternate Share $300 Add a onetime fee of $25 for Saint Louis Delivery. Fill out an application at http://lavistacsa.org/apply-for-membership email crystal@lavistacsa.org Call (618)467-2104. Important upcoming events at their farm: CSA Sign Up at their booth at STL Earth Day and the Tower Grove Farmers Market Kick off Festival. Open House at the farm May 5th 12-2 . Eric and Crystal teach a variety of workshops ranging from building a cob oven, outdoor cooking, and using medicinal herbs. See http://www.lavistaelc.org/elc.htm. Since 2009. 25 weeks from mid-May through early November. They grow over 60 items, harvested at their peak of flavor and nutrition, hand-picked and in-season including a variety of greens, scallions, cabbages, tomatoes, peppers, eggplant, squash, cucumber, garlic, and a variety of root vegetables. Pick up your vegetables at the farm on Tuesdays or Fridays. For an extra fee, they deliver to the following areas; Tower Grove, Webster Groves, University City, Brentwood/Ladue/Richmond Heights, Creve Coeur, Central West End, Kirkwood, Maplewood, Edwardsville. www.riverbendroots.com. * includes one-time delivery fee of $25. Call Kris or Stacey at 618-444-0567. Sign up via their website: http://www.riverbendroots.com/2013-csa-shares. What their CSA provides members: Arugula/Salad Mix, Snap Beans, Yard Long Beans, Beets, Broccoli, Broccoli Raab, Cabbage, Carrot, Chard, Cucumber, Eggplant, Fennel, Garlic, Kale, Kohl Rabi, Leeks, Lettuce, Mesculin, Okra, Onion, Orach, Pac Choi, Parsnip, Snap Peas, Hot & Sweet Peppers, Sweet Potato, Radish, Scallion, Spinach, Summer & Winter Squash, Cherry & Slicing Tomatoes, Turnips, Watermelon, Basil, Cilantro, Dill, Parsley, and Flowers *subject to changes. Pick-up at EarthDance at The Mueller Farm, 233 S. Dade Avenue, Ferguson, MO 63135. Sundays 4-6pm and Mondays 12-6pm either day throughout the season. Pick-your-own herbs and flowers may be available as well. CSA membership is $600 per season with a onetime $25 non-refundable sign up fee. You can pay in one lump sum or in 3 payments. There is also a $25 sign up fee for new members. Returning members will not pay this fee. EarthDance will accept check or cash for payment. Checks should be made payable to EarthDance and sent to our office at 302 Thouroughman, Ferguson, MO 63135. Important upcoming events at their farm: EarthDance Summer Solstice Potluck: June 17th. Sign up on their website: http://www.earthdancefarms.org/what-we-do/earthdance-csaprogram. Since 1996. May through October. Members pick up their shares at Biver Farms or at designated drop off points in the city of St. Louis or in the town of Edwardsville. Full Share: $450/season 23 week season. 1/2 Share: $375/season 23 week season. Contact Keith Biver at 618-656-9082, 7307 Pin Oak Road, Edwardsville, IL 62025. What their CSA provides members: Certified Organic or Certified Naturally Grown Vegetables, Fruits, Herbs, Eggs and Pasture-Based/Raised Meats. Pick up/delivery info: Home Delivery and several group sites including Soulard, CWE, Kirkwood, Fenton, Chesterfield, Wentzville. From $24-$80/week. Year round. See website for additional information or call farmer Mike at 573-560-0871. Fresh, local food from over 50 farmers and other local producers. Seasonal CSA subscriptions last 10 to 12 weeks and take place throughout the year. Pay week to week or prepay for the whole season and receive a discount. Small Share – $35/week. Large Share – $55/week. 2013 Seasonal CSA Schedule: Winter – January 11 – March 30, Spring – April 12 – June 29 , Summer – July 12 – September 28, Autumn – October 11 – December 21.Monthly CSA: Prepay & Pick up the last weekend of the month, Small Share – $65/month, Large Share – $85/month. All CSA customers receive 10% off other items in store excluding items already on sale. Retail Hours are Wednesday 2-6pm, Thursday 10am – 6pm, Friday 10am – 6:30pm and Saturday 10am – 6pm. Contact Maude for further details or you can sign up for the CSA’s on our website www.maudesmarket.com. 314-353-4219 or email Info@MaudesMarket.com. Find us on Facebook. Seeds of Hope CSA provides roughly a $20 value per share per week, mostly vegetables. Shares are available for pickup at 1120 Trampe Avenue in Spanish Lake on Friday from 3PM-7PM. A drop spot is also planned for Saturdays at Ferguson Farmers Market from 8-12. Subsidized shares are $12 per week, payable at time of pickup. Sponsorship and standard shares are payable at once or in two halves. Sponsorship:$786. Standard: $560. (Pro rated if signup is after start of season). Time frame in which produce is provided: May 17 to November 22. Membership agreement is available at seedsofhopefarm.org. To sign up or learn more, contact Gabriel at ghahn@caastlc.org or 314.566.8643. Website: www.seedsofhopefarm.org. This is our first year with the CSA, but in previous years we have sold at Farmers Markets. Our CSA will run for 26 weeks starting in May. 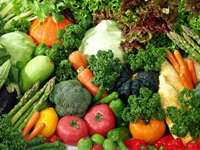 Our Full Package consists of a variety of 5-12 different vegetables per week. For example, if we have yellow squash, zucchini, tomatoes, green beans, bell peppers and cucumber available, that week you may get 3 yellow squash, 2 zucchini, 1-2 pounds of tomatoes, 1 pound of green beans, 2-3 bell peppers and 2-3 cucumbers. Please keep in mind this is just an example. Some weeks we will have a larger variety available than others and will be able to pass on that variety to you. Half Packages are very similar to the Full Packages, but are more for the person/family that wants a smaller amount. It will still be on a weekly basis, but only be about half the amount that is listed above. There will also be naturally raised beef, farm fresh eggs, and homemade sweet bread available to be added on each week. We will also be including tips and recipes to help you take advantage of the seasonal vegetables, especially the unfamiliar ones that come with your share. Pick up will be available at the farm on Tuesdays and Thursday evenings from 5:30 p.m. – 8:00 p.m. Full Shares are $910.00 ($35 per week) Half Shares are $455.00 ($17.50 per week). We do request that the shares be paid in full so we can plant accordingly. Anything you add on can be paid for at pick-up that week. Sandy Valley CSA, 3843 Sandy Church Road, Hillsboro, MO 63050, (636) 479-9506. Please feel free to visit our website for more information, including our Membership Agreement. This entry was posted on Wednesday, February 27th, 2013 at 5:51 pm and is filed under March 2013. You can follow any responses to this entry through the RSS 2.0 feed. Responses are currently closed, but you can trackback from your own site.